For longer endurance, run before strength training. It's a confounding question -- is it better to do your cardio before or after strength training? The answer depends on which type of exercise is your main focus, since you'll get a more vigorous session at the start of your workout. Ultimately, either order is fine as long as you're fitting in your recommended weekly exercise dose. That means at least two and a half hours of cardio and two sessions of strength training each week, according to guidelines set by the Department of Health and Human Services. 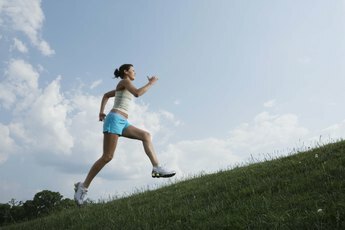 You probably know that running, swimming and cycling are cardio exercises. But why? Cardio is any activity that places stress on the heart and lungs for at least 10 minutes. That may sound scary, but by overloading your cardiovascular and respiratory systems, you allow them to become more efficient. This ultimately lowers your resting heart rate and gives your lungs more power, not to mention the calorie burn -- cardio can go a long way in enhancing your weight-loss plan. Strength training is more than just weights. Sure, you can get an awesome strengthening workout doing curls and bench presses, but you'll also get a heck of a workout from body-weight exercises such as pushups and crunches. Other options include exercise balls and resistance bands. One important perk of strength training is increased bone mass, which means a lower risk of osteoporosis. Strength training also builds a faster metabolism because the more muscle you have, the more calories you burn all day long. What is the main reason you work out? If it's to burn more calories, gain a healthier heart and build endurance, do your cardio before strength training. Your muscles will be fresh so you'll be capable of a longer or more vigorous workout. if you aim to build lean muscle mass or become stronger, put the cardio on hold until after you've finished your resistance exercises. That way your muscles won't be worn out, so you'll be able to lift heavier weights or perform more reps.
Be careful out there; exercise can injure you if you take risks. You're most likely to get hurt if you overtrain or overuse your muscles. Stay aware of your fitness level, and don't push yourself too hard before your body is ready for it. Always to take the time to learn correct form, which may mean springing for a training session or two. Switch up your workout to avoid overworking the same muscles; for example, try yoga instead of your usual strength-training routine. 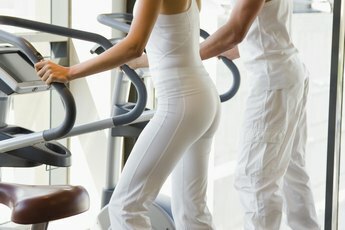 ShareCare.com: What is Cardiovascular Exercise? American Council on Exercise: Is it Better to do My Cardio Workout Before or After My Strength Training Exercises?